There is no question that my Dad is a strong person. In many ways he does act as an Anchor in my life. He is a spiritual anchor as well as a symbol of perseverance and a great mentor and teacher. My Dad has faced seemingly insurmountable odds. Yet, he is a survivor and he continues to endure despite the difficulties that life has handed him. Not to mention that at his side stands my Mom. To say she is an amazing woman is an understatement. She has stuck by his side throughout all of his hardships and continues to support and care for him to this day. When Nautica approached me with this topic, I gladly decided to share a little bit about why my Dad is such an anchor and an inspiration in my life. As anyone's parents face difficulties, it can be so scary. I wanted to share that despite his health issues and how scary some of the situations have been, going through this can really bring out your own strength and character. His story inspires me and I hope it inspires you, too. 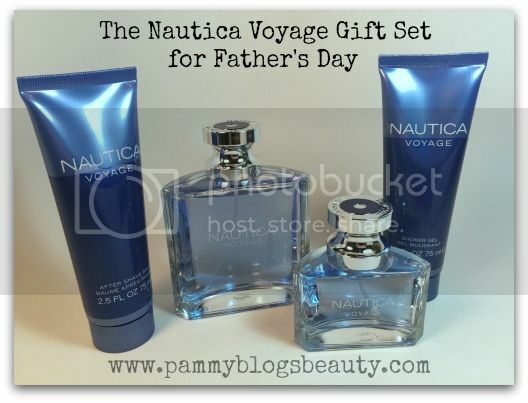 Plus, pampering my Dad with a Nautica Gift Set would be a great way to honor him this Father's Day! My Dad was always a strong, healthy, and energetic person. However, he has faced some really major medical issues that have completely changed the direction of his life. His first major challenge: Lung Cancer. He was lucky. It was discovered as a mass on an X-ray during an annual physical. They caught it early and treated it surgically and aggressively. He had surgery which removed an entire lobe of his lung. They were able to get everything and eliminated the cancer. His only side effect of that surgery was a bit of a lingering raspy cough. Yes, he was a former smoker (pipe tobacco). However, he had quit many, many years before the cancer. He weathered this hiccup in life easily. You honestly would never even know that he had cancer or had a lobe removed. When my Father turned 60, he had a massive stroke. Chronic high blood pressure had cumulated with a massive bleed. Practically his entire cerebellum was wiped out. When I arrived to the hospital, the Dr. told my mother and I that there was nothing that they could do. We even said our goodbyes. That was when a miracle happened. A surgeon arrived that wanted to operate on my Dad. He had very low odds going into the surgery (less than 1% survival for the surgery itself). Well, I am happy to report that not only did he survive the surgery but he ended up regaining a lot of function eventually. Yes, my Dad does have some significant impairments from the stroke. He was in a coma for a while after the surgery and eventually got stronger and was moved to a rehab unit. He slowly started remembering who he was and ultimately learned how to walk again. He even still has his dry sense of humor and his love of politics (and lecturing me on politics, like he always loved to do). It was a long recovery and a very difficult journey for him and my family. More than anything, I am very product of him and proud of my Mom for all of the hard work they had to go through to get my Dad to where he is today, function-wise. The stroke caused an early retirement, physical impairments, visual impairment, and more...but, it did not dampen his determination nor did it undermine his strong Faith. He has inspired me in other ways, too. I attribute my love of the outdoors to my Father. Some of my very best childhood memories are of following him around in his vast garden, weekend camping trips with him and my brother, and fishing! My love of the outside is something that I will always have and a great gift from my Dad! My Dad sure did have his share of medical hurdles to overcome. How did he get through all of this? His strong determination and his Faith. My Dad has always been strong willed. When I was a teenager and generally when I was younger, my Dad and I didn't always see eye-to-eye or agree on things. We sure have had our disagreements. However, it is exactly this strong will that has gotten him through these tough situations. The hallmark of his determination is his Faith and Trust in the Lord. I want to share his story not to scare you about what could happen to your own Dad, but to share that even if your parent goes through these scary medical situations, they can still come out a survivor! Their role may change in your life but they can still teach you! My Dad has taught me, through his perseverance facing these terrible odds, that you can still have Faith and get through your day. Our life here on Earth is temporary in comparison to our eternal life in Heaven. 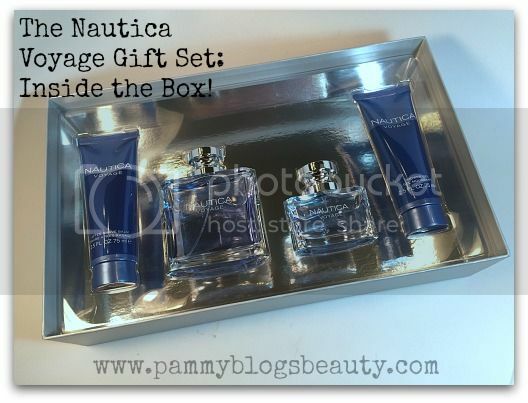 The Nautica Voyage Gift Set was easy to shop for. During a routine trip to the Mall with my Mom and kids, we stopped into Macy's to pick up this gift set for Dad. What a great deal! It is a $128.00 for only $65.00. The gift set was located in the Men's Department of Macy's in the Fragrance section of the department. There was a large counter area with tall narrow shelf structures in front. 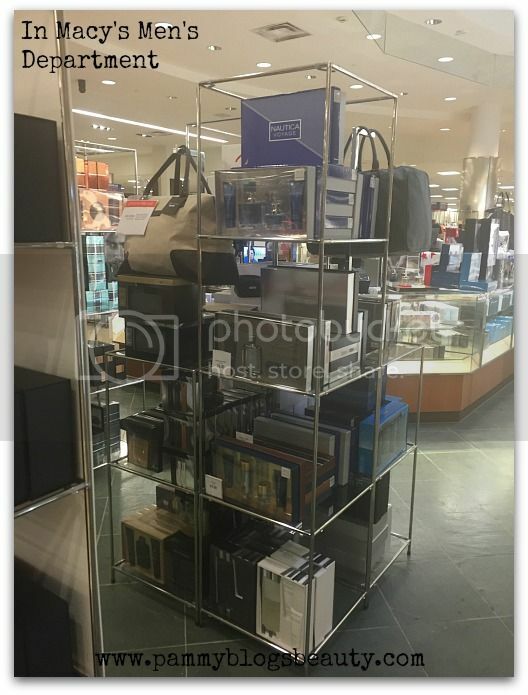 The gift set was featured on top of one of the shelf structures. You can also purchase this gift set online here. 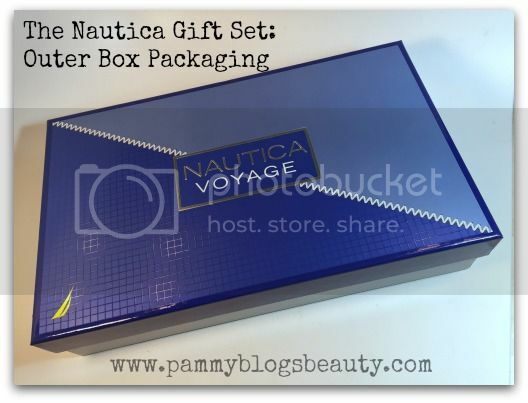 Nautica Voyage is for the everyday hero and the man who challenges himself beyond his boundaries. This is certainly my Dad! The fragrance itself is fresh, cool, and acquatic. Notes include: top notes of green leaf and crisp apple, a heart of water lotus and drenched mimosa, and a base of musk and woody amber. 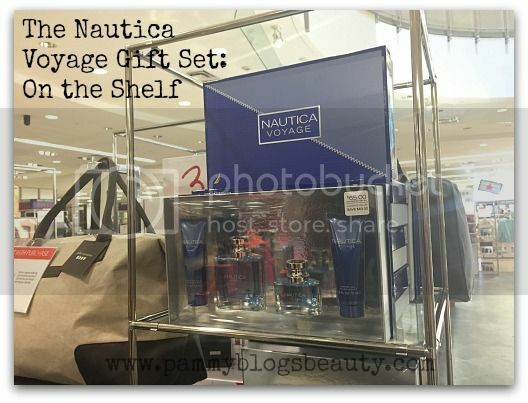 The Nautica Voyage Gift Set includes: 3.4 oz Eau de Toilette, 2/5 oz Aftershave Balm, 2.5 oz Shower Gel, and 1 oz Eau de Toilette. 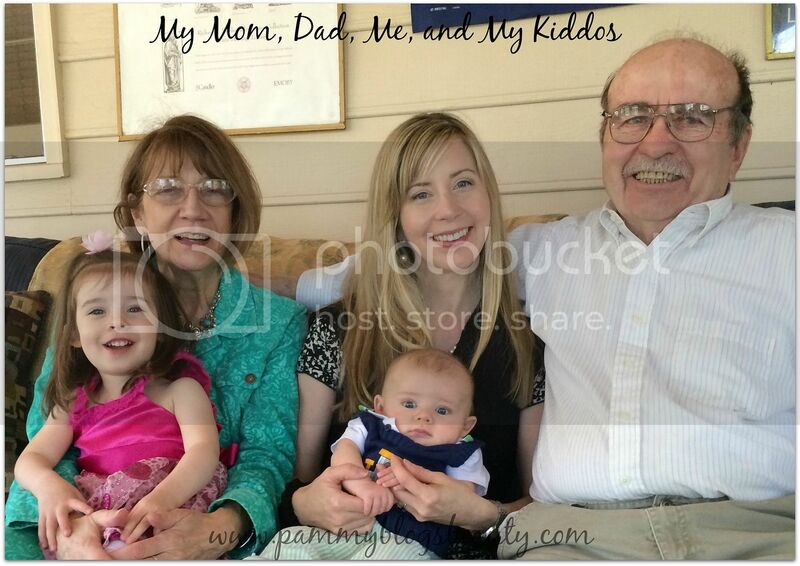 I've shared some memories about my father and how he has overcome challenges. Who is the anchor in your life?